I’m cool. I look great – anyone who says different is jealous. I am Kākāriki, eight inches of attitude. Vote for me in Forest & Bird’s Bird of the Year competition. I’m a local and one that stands out. I am colour and personality. Beautiful light green, with blue in my wings, and a crimson crown, I have a yellow body and wings, and sometimes an orange crown. I make my counterparts look dour – browns, greys, blacks, white with spots, and the occasional deep blue – they only flash colour and personality. I’m part parrot, part rosella, part lorikeet – but all mystery. You may think that an absolutely pretty thing such as I can only grace tropical rain forests or the Parisian couture fashion houses, and you would be right. The Antipodes Islands aren’t for everyone. Sitting at 49 degrees in latitude and 860 kilometres southeast of Stewart Island/Rakiura, these islands aren’t exactly balmy. In 1999, conservationists Gerry Clark and Roger Sale died when Gerry’s yacht the Totorore was wrecked here. So what or who are on these islands? Firstly there are albatrosses, rock hopper penguins, southern elephant seals – the sort of wild life that you would expect on an isolated sub-antarctic rocky outcrop (a World Heritage site). Then, there is me. The southernmost kākāriki. Why do I choose the Antipodes? Isn’t it cool that I defy logic? Some 2.3 million years ago my ancestral parakeets split into two lineages. The first survives in New Caledonia, and the second was the ancestral kākāriki which also survives in New Caledonia and appears to be the most primitive of all kākāriki. Around 400,000-625,000 years ago, something prompted the ancestral kākāriki to fly to New Zealand and further (to the Antipodes). Parrots don’t like crossing large distances of water, but years ago something happened that made them do it. That something was most likely a combination of environmental conditions, that possibly, created an extraordinary fruiting of one or more species of trees that appealed to the kākāriki. This would both attract and allow kākāriki to stock up energy and breed during winter months. When the food supply returned to normal the kākāriki would have flown off in search of more, yet some stayed. The red-crowned parakeet colonised the Antipodes Island and then evolved into Antipodes Island green kākāriki. It lost its red, and adopted an emerald green plumage including royal violet-blue crown. Fantastic. Just when you thought you were getting to know me. But wait there is more, in the 1890s I was pest. A pest? Me? Beautiful me? What was New Zealand like when I was a pest? I must have given this country colour and vibrancy and energy. Is that why you got rid of me? Kākāriki lived throughout New Zealand. Our populations used to rise and fall quickly depending on factors such as the availability of food or the warmth of the winter. In a good year for kākāriki, flocks would descend on orchards. Kākāriki aren’t afraid of loud noises, or people, so in the late 1800s Orchardists didn’t find it difficult to shoot kākāriki and flocks would return until they were no more. So orchardists shot us, our forests have being destroyed, and introduced pests have fed on our eggs. It’s a hard life for beautiful things. Kākāriki are endangered. Scarce on the mainland, but we survive on islands, and breed in captivity. There are many sub-species of Kākāriki . Perhaps a little more mystery as to why? On Little Barrier Island, the yellow-crowned Kākāriki lives in the forest and the red-crowned lives in the lower hills. One small island – two kākāriki species. Yellow, crimson and emerald crowned kākāriki. Is there any more? Yes, many. One is the Orange-fronted kākāriki species and this is the most endangered, with less than 200 individuals remaining in the North Canterbury. We are the tropical parrot native to New Zealand. We are “an 8 inch dynamo who thought he was 10 feet tall.”* We are gutsy, energetic, friendly and beautiful. We are an outlier for New Zealand. We are vibrant in colour. Colour that moves New Zealand closer to the tropics. Watch this video then vote for us. 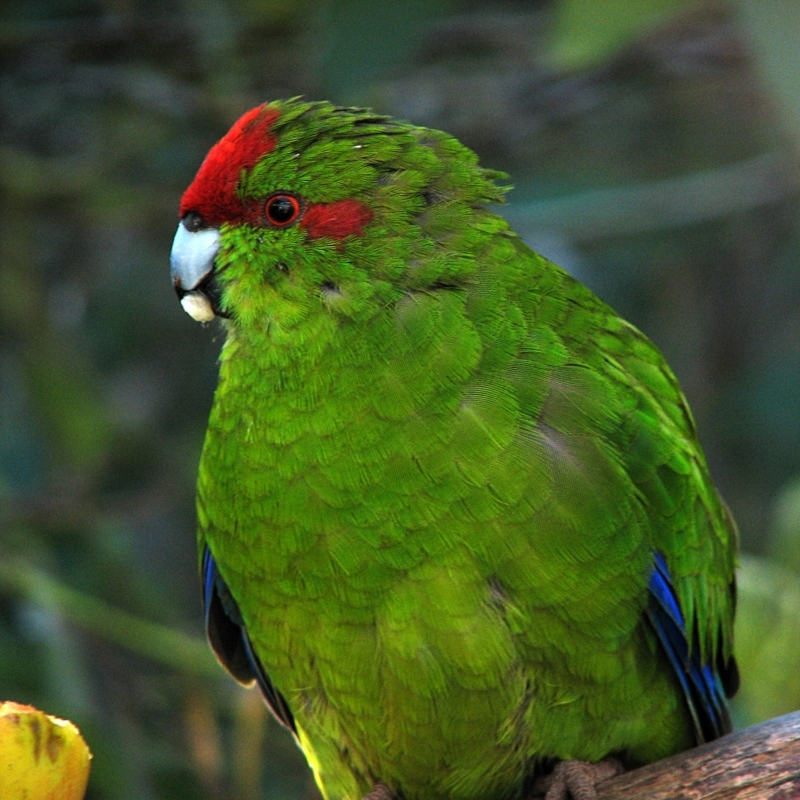 International Bird of Mystery – The kakariki. Beauty must be such a heavy cross to bear!! To give kakariki credit, “beautiful plummage gov” to quote Monty Python’s Parrot sketch. To repeat a question put to kea, however, and more to the point here, what’s kakariki’s view on world peace? PS Maybe they drifted across to Antipodes all those years ago on a raft of some sort, after all, I don’t imagine they’d have too much trouble hitching a lift with that booty to shake! I’d love to see flocks of kakariki swooping and cackling through my suburb – instead of the Australian rosellas that I see at times. Better a colourful Eastern Rosella in the burbs than no birds at all ! Thanks to the National Government there will be fewer trees for them to roost in, in the Auckland region ! Kakariki are sensational little parrots and with their adaptability and diversity, and they should rate highly for bird of the year ! Kakariki fan club member ! I have a Kakariki as a pet and he is beautiful, would not be without him as he is such a character. So I vote for the Kakariki. Kakariki where kept by Maori and early settlers as pets, one would wander down the main streets and see them on the front porches. They are kept as pets From Iceland, to Britain, Belgium, Netherlands Sweden, Israel, Spain, Latvia, Peru, Canad, States, and all countries in between…. 2/Take pure breed dease free Kakariki down the back yard , and with a sharp pair off scissors, chop their heads off..
And Kakariki are not the only species this applies to. I love Kakarikis, I’ve owned one, a female named Takitimu. Finest Bird in the World. With apologies to the other Parrot I own. This American thinks Kakarikis should be Bird Of Year. My wife and I have a permit to keep 2 red crested Kakariki from the NZ Department of Conservation. We live at Warkworth north of Auckland. This morning 26 December 2009, I went outside about 7.30am and disturbed a wild Kakariki, visiting our birds in the avery. It flew off the driveway and into the trees in a bright flash of green in the morning sunlight. It turned out that there were two of them and they came and sat on a bush adjacent to the avery to have a visit. Our burds were exstatic and flew about un the avery, clinging to the side of the wires as close as they could get and jabering away. They are really quite social birds. It was the first time I have seen them in the wild around Warkworth. I understand that in the 1860’s they were as common as sparrows, but their love for grain brought them into conflict with farmers, and the lack of fear that they had of preditors made them a target for cats etc. They are however still about as my encounter this morning proved. The wild pair that I saw would have probably been about 20% larger in size than our own birds and looked very healthy, but were weary of me. One flew away immediately I walked quitely out the door. the other kept an eye on me and stayed for about 10 minutes on the bush adjacent to the cage watching me and looking at our birds. when I got within about 4m to take anothe photo, it flew off jabbering all the way up into a tree in the bush reserve behind our house. One of ours in particular called after it. About 2 years ago when we first aquired the Kakariki, some frends of ours who live on a lifestyle block in Parimarima Road on the North Shore recognised the birds and said that they had a flock of 4 of the same come to visit their flower garden but they gave an alark and high tailed it to the trees when they saw a hawk. They had thought that they must have been some sort of Austalian cockatial or something not appreciating at the time that NZ had a native parrot. Three months ago while working on a house 30 km north of Whangarei, a flight of about 10 Kakariki landed in a tree about 70m from the house jabbering. This happened on 2 weekends when I was up there. I believe that miss identification of Kakariki may be commmon. Also as they are green, they are not that obvious in follage. I have read a report from a authorative source that Karakriki had disappeared on the mainland in the Auckland area. However I am happy to report that this is not the case. I have done some research and believe that in addition to Moreporks (NZ Owls), Hawks, cats, stotes and wessels the karariki also has to compete with starlings and minor birds who like holes in trees for nesting. While a 55mm dia hole will protect a starling nest from attack by minor birds, a Kakariki needs about a 65mm dia hole. Starlings and Minor Birds which were imported in about the 1860’s can be quite vicious with respect to nesting spaces and studies have shown that starlings will fight to the death over a nesting box. Possums also are not solely herbivorous as most people think, and there is documentary evidence from the DSIR of them killing sparrows overnight when sparrows have become trapped in their enclosure after entering to steal food pallets. Any roosting bird in the wild could therefore fall prey to a nocturnal opposum. 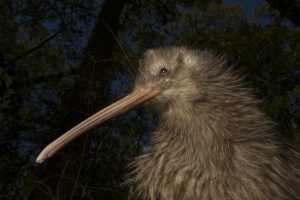 Never the less, dispite all the odds, it could be that through the process of natural selection, those Karariki that are the more weary of the species are surviving and breading and will be around for generations to come.